Lucy H. Sinkular - Atkinson & Kelsey, P.A. 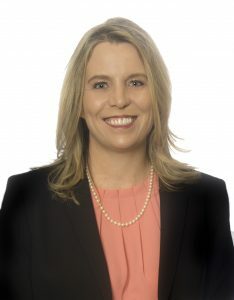 Lucy began her professional career as an attorney in Albuquerque in 1994. During a 20-year absence from New Mexico, she moved with her military spouse to assignments around the world. During that time, Lucy maintained a solo practice working as a contract attorney focusing on civil litigation and family law. She has extensive experience in family law, as well as divorce and custody issues arising from military benefits, pensions and relocations. Lucy is trained in Collaborative Law. Their family includes their daughter who is studying at Colorado State University and their son who studies at New Mexico State University, one Labrador retriever and a large kitty. Represent clients in all areas of domestic relations matters with a special emphasis on military divorce and family matters. Designed discovery strategy, conducted legal research, and wrote briefs in support of trial motions and appellate briefs. Practiced in areas of education law, contract disputes, domestic relations, and employment law. Argued an education law appeal at the 8th Circuit Court of Appeals, St. Louis. Served attorney clients from small firms and solo practices in Grand Island, Nebraska. Maintained business for 20 years while moving ten times across America and overseas.